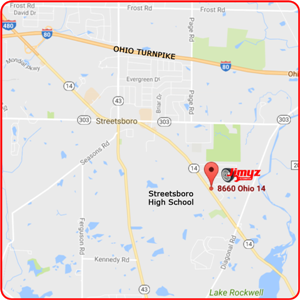 Jimyz Automotive in Streetsboro Ohio in 2000 and has evolved into the area’s leading independently owned, owner operated car repair shop, proudly serving Streetsboro, Kent, Aurora, Ravenna, Twinsburg and all of greater Portage County. As a certified NAPA AutoCare Center staffed by experienced auto repair technicians, Jimyz Automotive is able to deliver an unparalleled level of service to every customer. We stand behind the quality of the work that we perform 100 percent to ensure your complete satisfaction with every service or car repair. In fact, we offer a 2-year, 24,000-mile warranty on many of the repairs that we perform. Don’t take chances when it comes to your vehicle. Choose the auto repair shop in Streetsboro Ohio that offers old-fashioned service with quality and care. Choose Jimyz Automotive for all of your auto repair needs. Contact us today for more information or to schedule a service appointment.